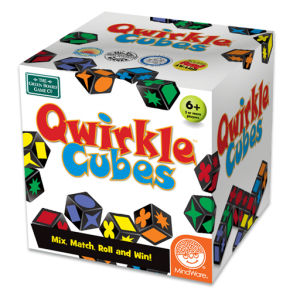 A great new version of this family game which can be easily picked up by new players but still holds strategic challenges for experiences Qwirklers. 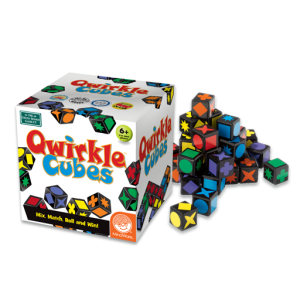 Now you have the added challenge of choosing whether to use the existing shapes on your cubes or roll them and hope you strike lucky! 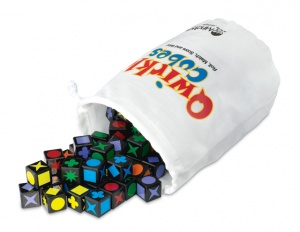 The game consists of 90 wooden cubes in six colours, each with six shapes. Using the cubes, players score points by building lines that share a common attribute, either colour or shape. 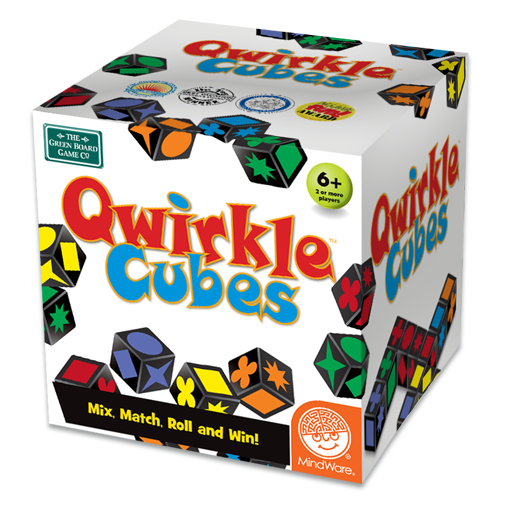 Qwirkle is a quick game to learn, but you'll soon discover that you need to think strategically in order to score the most points.